OT HealthLife - elegant pattern of fitness studio OmegaTheme. Perfect for resources on topics of health, fitness, beauty salons, business or corporate websites. Comes with four impressive color schemes: green, red, orange and purple. 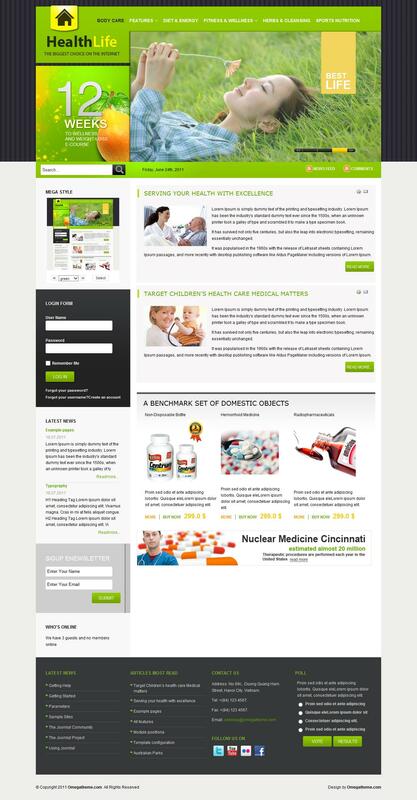 OT HealthLife contains corporate banner Banner Slider and stylish display module content Mini news.